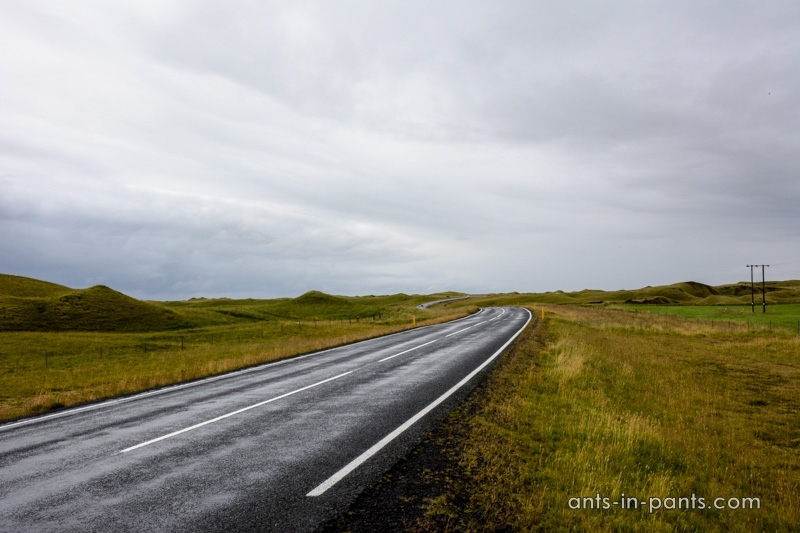 If you have done your first part of Icelandic south, it is time to get to the second, not less exciting part from Vik to Jökulsárlón. For us, it took two days to make it, but at the end of this post we will recommend the best of it in case you want to make it in day. 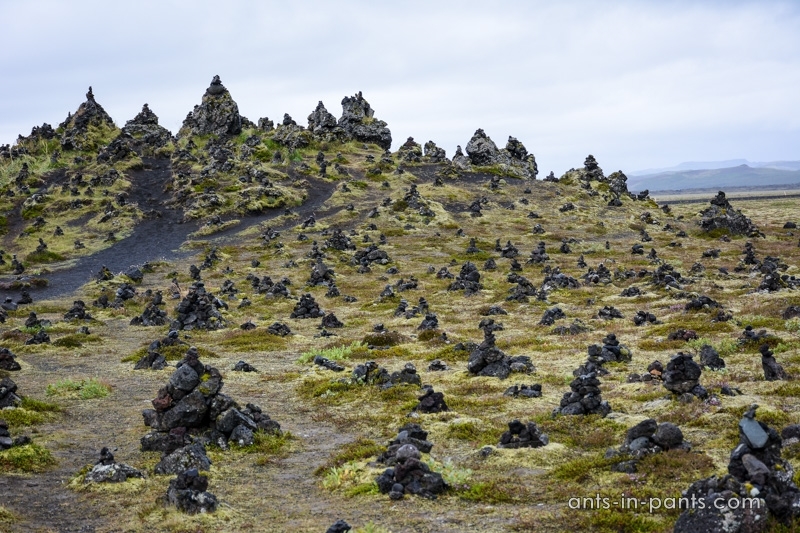 The first stop on this route is Laufskálavarða, a lava ridge, surrounded by stone cairns. 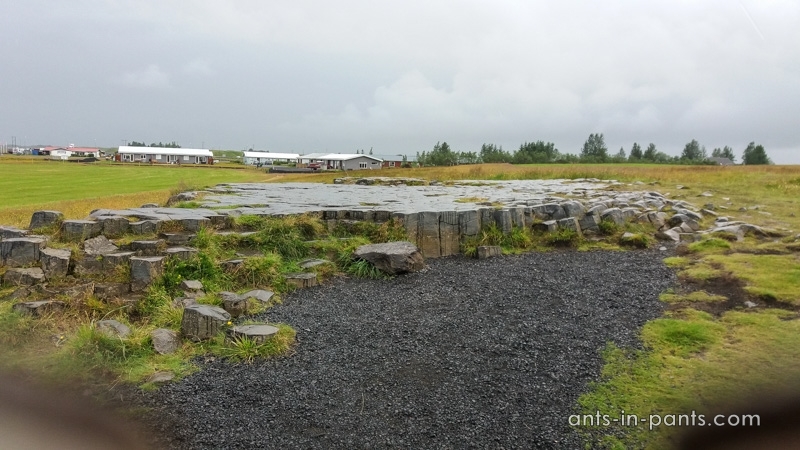 It is considered that there was a large farm called Laufskála on this site, but it was destroyed in the year 894 in the first recorded eruption of the volcano Katla. The lava formation, known as Laufskálavarða, was named after this farm. Everyone passing it by for the first time was supposed to add a stone to have good luck on the journey. The Public Administration of Roads has partially moved the stones to this site to enable modern travelers to continue this tradition. 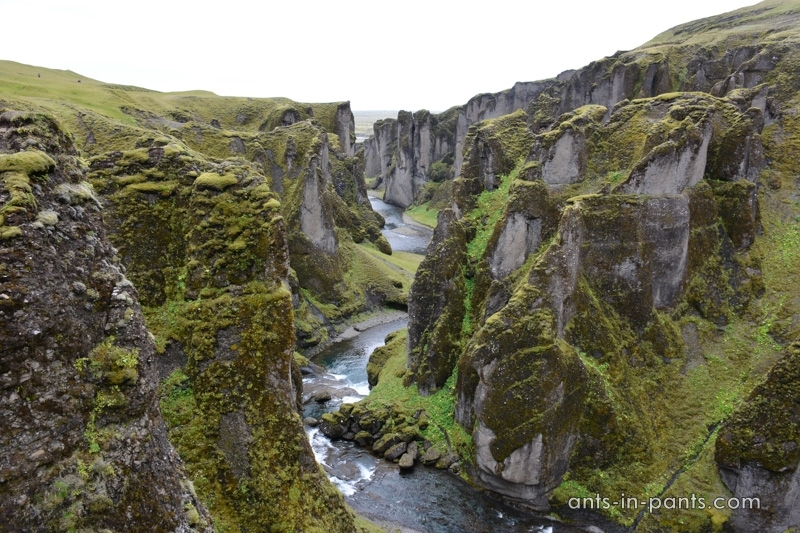 Fjaðrárgljúfur is a magnificent and massive canyon, about 100 meters deep and about 2 kilometers long. The canyon has sheer walls that are sometimes serpentine and narrow. 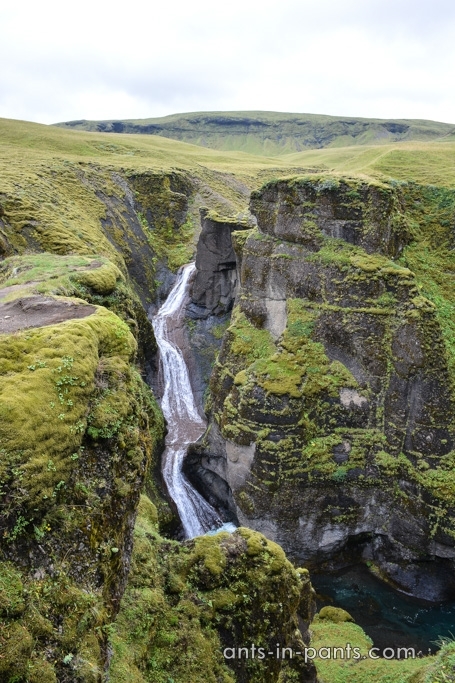 Today the river Fjaðrá flowing in it is rather low in water and therefore hikers can choose to safely walk inside the canyon. However, wading is frequent. Skafta river, one of the large glacier rivers of the region, is said to be crystal clear in winter. It floods considerably every two years. The river caused a lot of troubles for transportation: it used to have ferries, and several bridges constructed over it broke down. In 1783 in the so-called Laki eruption, a huge lava flow streamed from Lakagígar across the highlands and descended in three main brunches to inhabited areas. Skaftáreldahraun marks one of the biggest lava flows on Earth in the last two thousand years which took various forms depending on its flow. 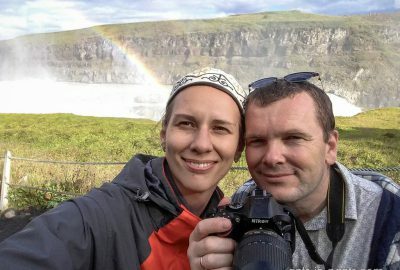 No other place in Iceland features such an extensive subterranean cavernous space per unit area. 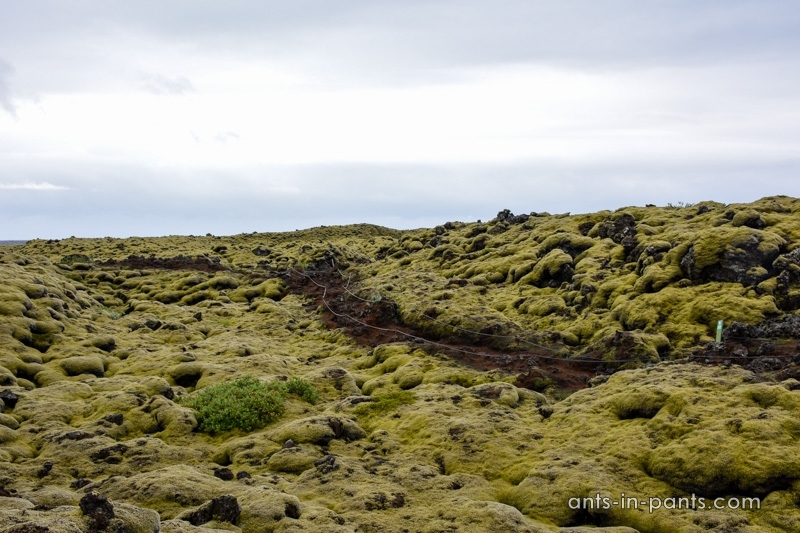 Today the Laki lava flows are covered with a moss sheet, more than 50 cm thick. Its coloration is diverse, but it is most beautiful to observe after the quick rainfall when the stunning green shades become visible. Since the moss is very sensitive and it took centuries to grow, it is recommended not to step on it, but to follow the marked paths instead to observe it. 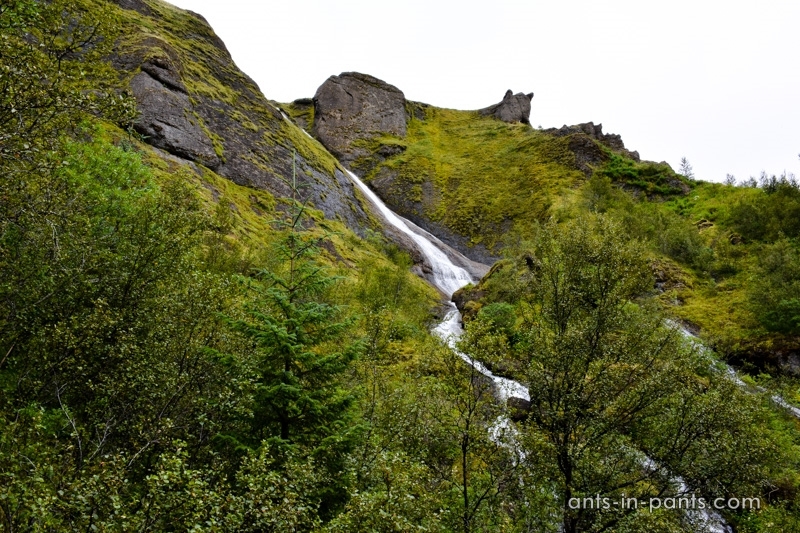 Kirkjubæjarklaustur offers a pleasant hike towards the lake Systravatn and several other objects. You can start at one of the waterfalls and walk up to the meadow. This kind of view opens from and to the meadow. 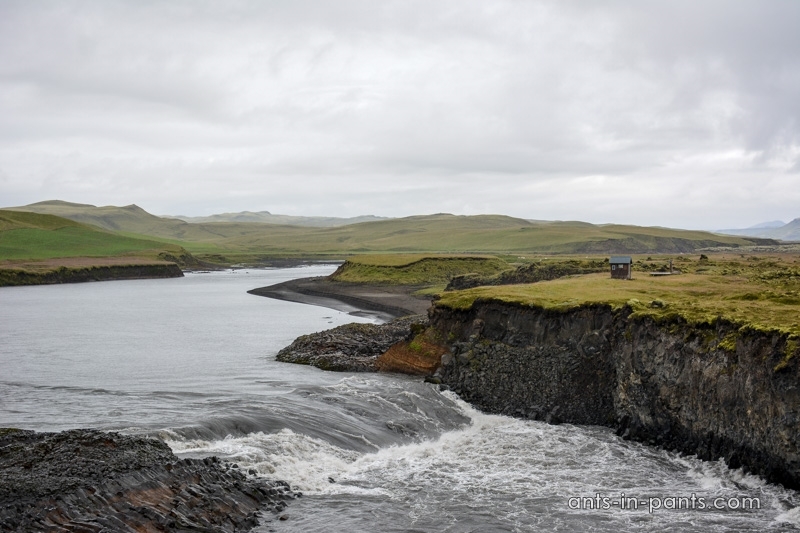 Lake Systravatn (Sisters) is called so due to the fact that it was the frequent bathing spot for the nuns. According to the legend, once two of them were bathing when they saw a hand sporting a beautiful gold comb reach out from the water. As they grabbed the comb, both were pulled into the water, never to be seen again. 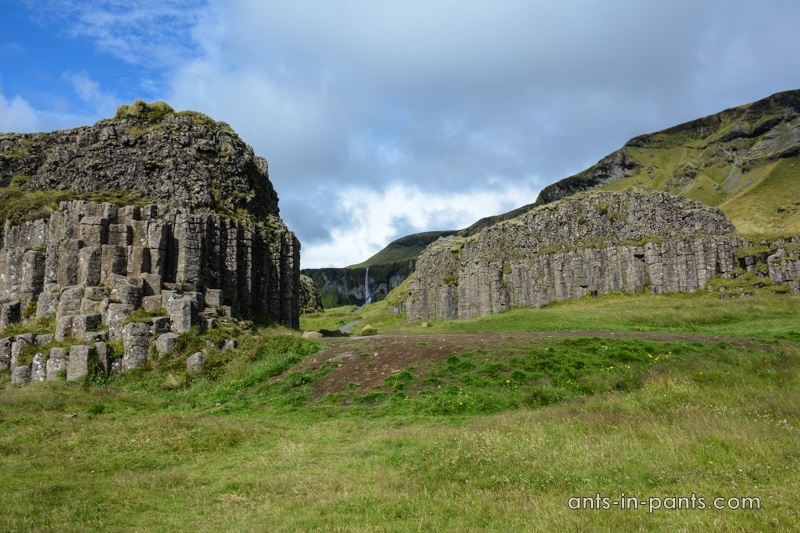 The final destination in Kirkjubæjarklaustur is a beautiful basalt column formation called Kirkjugólfið (Church floor). The striking cliff formations next on the way are Dverghamrar (Dwarf Rocks). From time immemorial, tales have been told about their being the dwelling place of supernatural beings, either elves or dwarves, and this is believed to be the origin of the name. 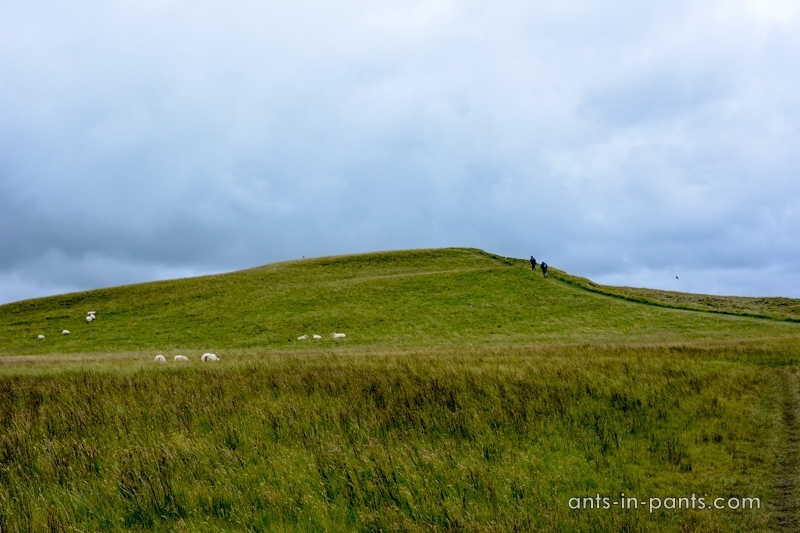 Many have heard strange singing here, it is believed that these creatures sing. What happened in Skeiðarársandur shows how sensitive the Icelandic road system is in many places due to natural hazards. Over long stretches, the N1 Ring Road is the only means of land transportation. If the road is destroyed or blocked at any point, it can result in everyone having to travel “the other way”; the destruction or blockage at two points can result in the complete interruption of road transportation for a whole area. 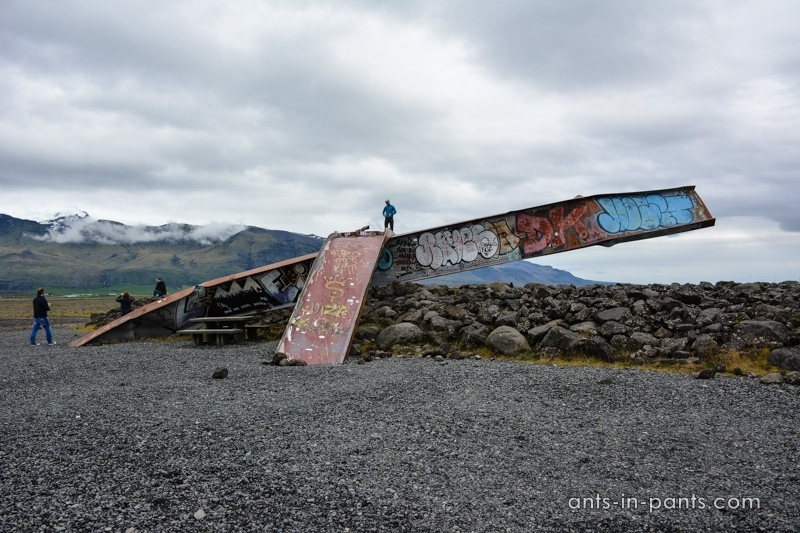 Skeiðará Bridge, the remnants of which are presented in this monument, once comprised the longest span in Iceland and a portion of the Icelandic ring road. 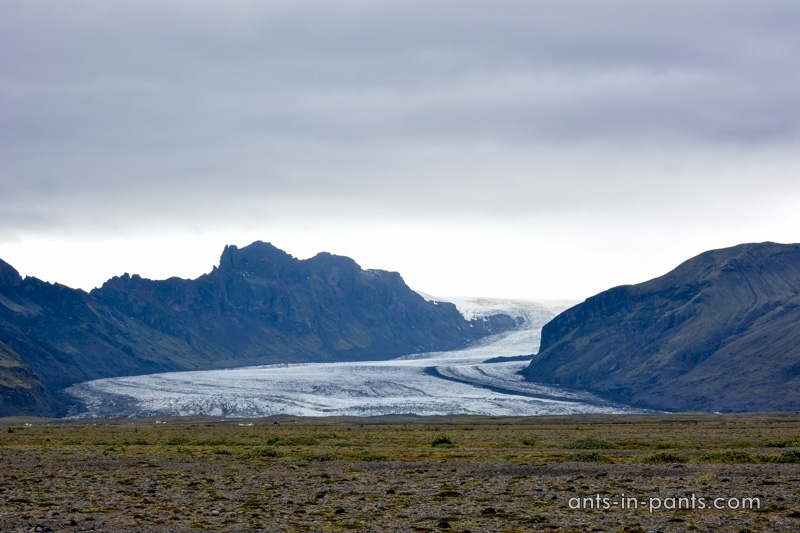 In 1996, the volcano Vatnajökull erupted, melting portions of glacier and creating massive floods. While the girder bridge was built to withstand a hefty amount of flood waters, there was no preparing for the house-sized icebergs that the floods washed down the plain. 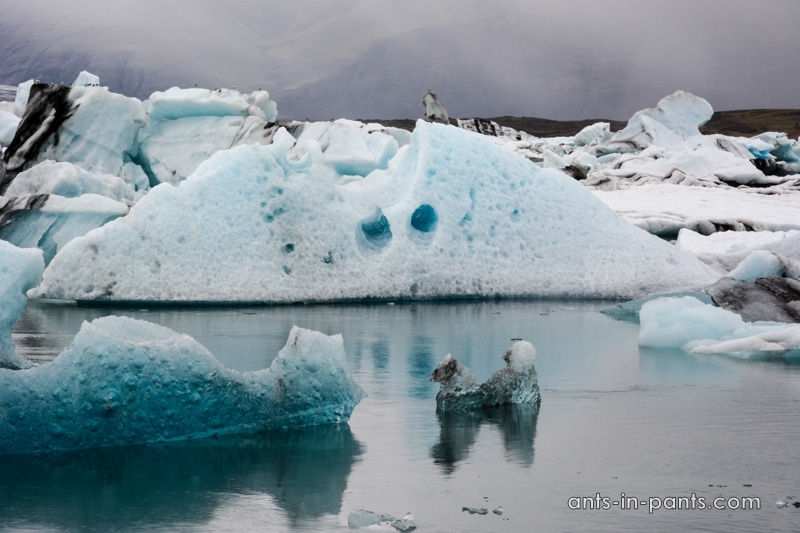 A number of these glacial shards crashed into the bridge, wiping it out and creating a gap in the main ring road around Iceland. All that remains of the original bridge today are two twisted girders by the side of the new road. 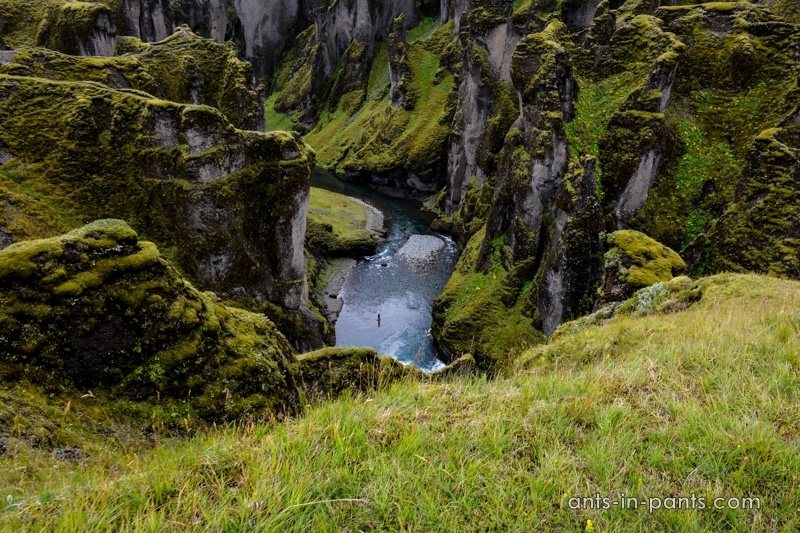 They form a unique monument to the lovely but powerful beauty of Iceland’s natural landscape. 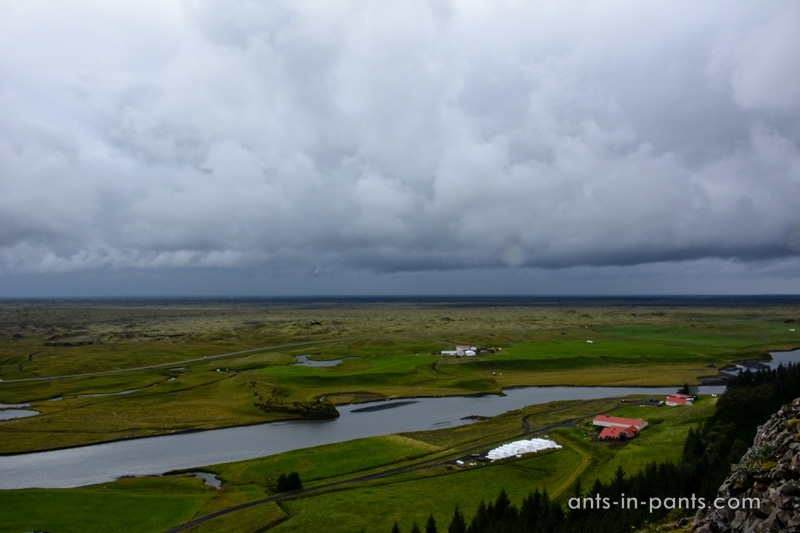 The surrounding area both offers great views and reminds of the harshness of Icelandic weather. 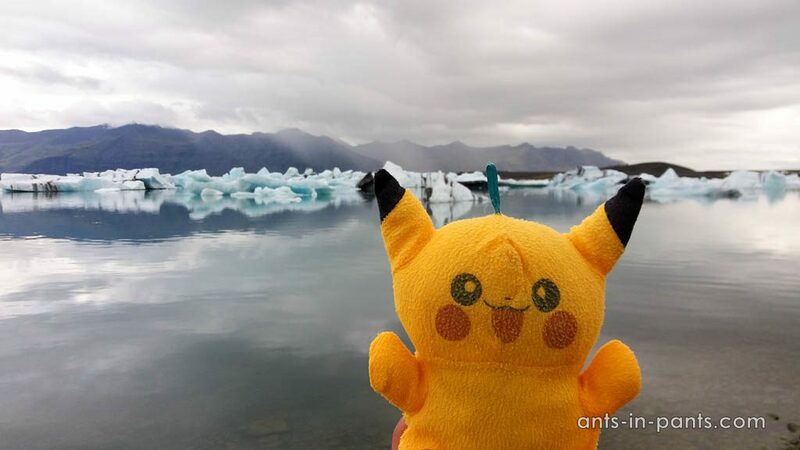 Make sure to stop at Skaftafell National Park. 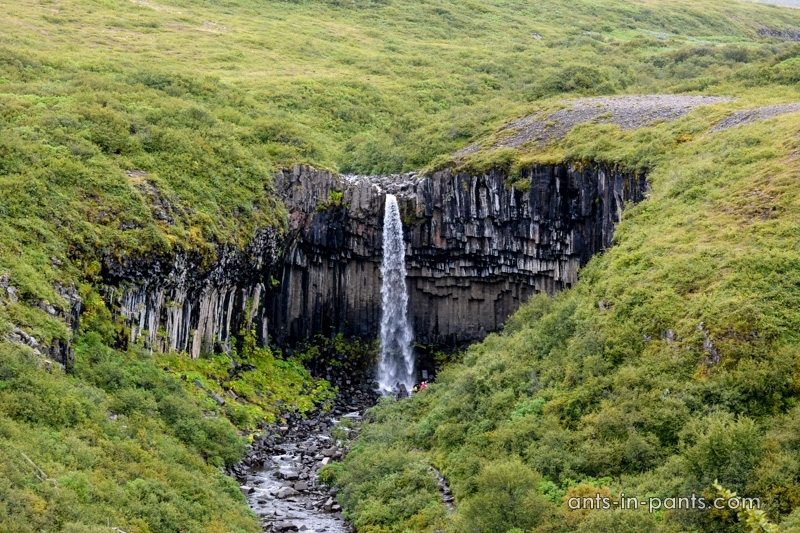 There you will find a stunning waterfall, Svartifoss, surrounded by basalt columns formed from cooling lava. Columnar jointed basalt is formed when lava or magma cools and contraction causes the new rock to split to six-sided columns. Columns always form at right angles (90 degrees) to the cooling surface, where heat loss is greatest, so they are horizontal in dykes and vertical in lava flows and sills. Where the cooling surface is irregular, the columns radiate in many directions. The hike is about 1.8 km long. 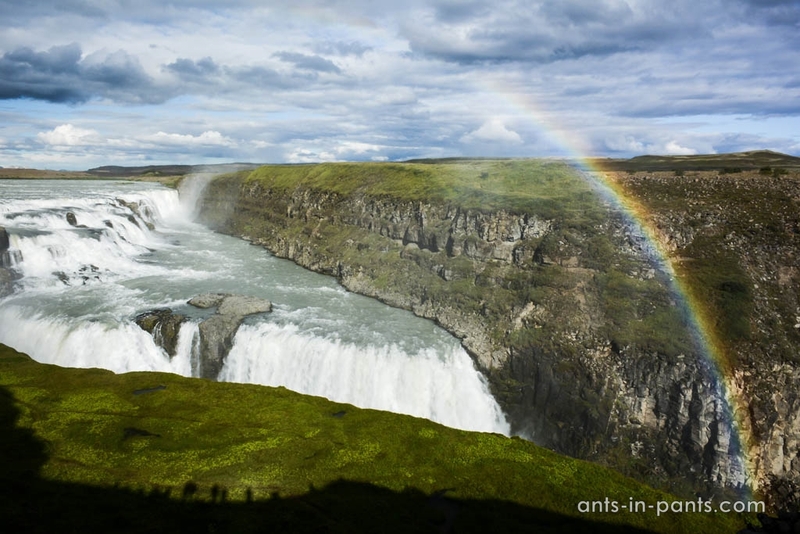 If you are not in a rush, enjoy some other sites on the hike such as Eystragil, Hundafoss and Magnúsarfoss. 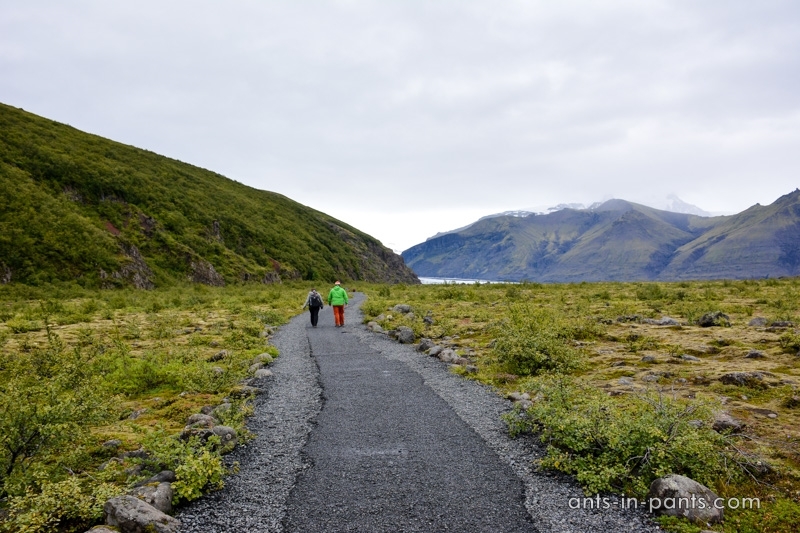 We walked towards the glacier too, which was amazing and took about one hour. 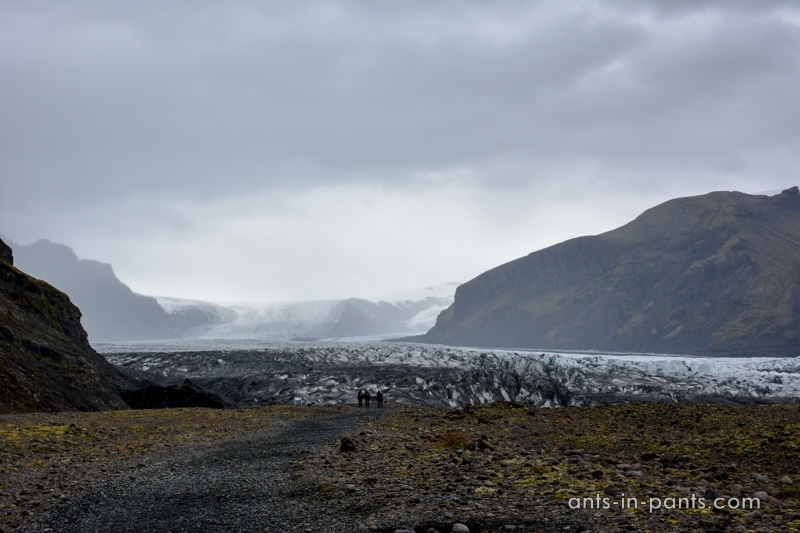 The park also offers free walks towards the glacier at 11.00 and free guided ranger walk 14.00. You may want to spend the whole day or even two days here. The entrance to the park is free, you only have to pay for the parking or the camping if you stay there. 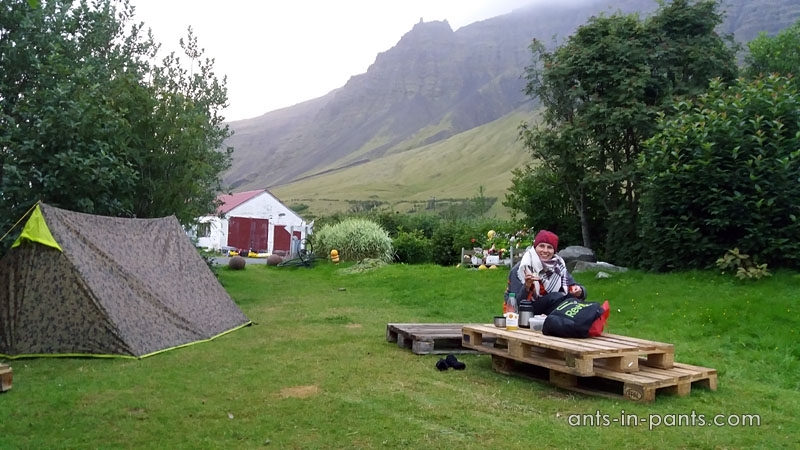 However, we recommend not to: its camping lot is as overcrowded as Vik camping. 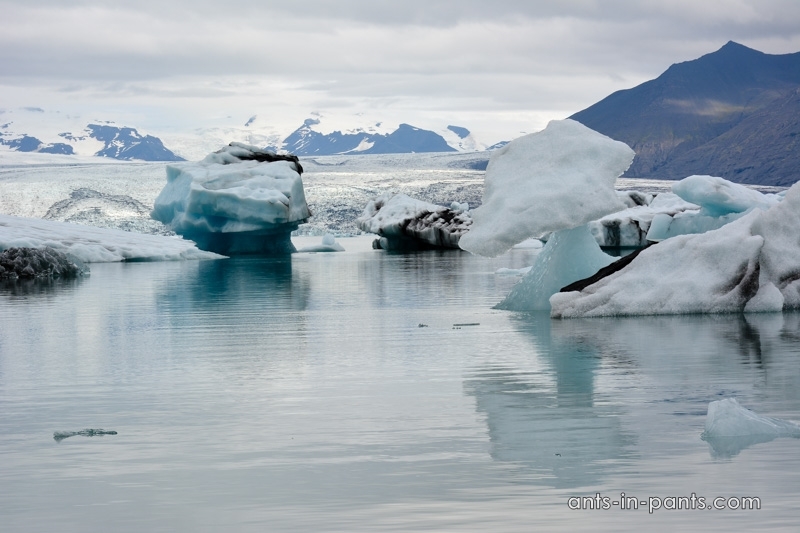 One of our favorites not only in the south of Iceland, but also in the whole country was Jökulsárlón (glacier lagoon). 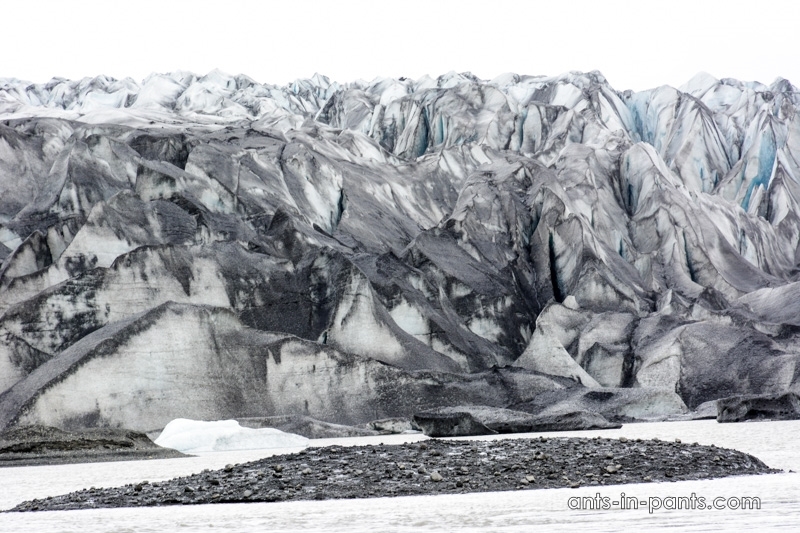 The size of its main lagoon is about 20 square kilometers and in 1932 the same area was still covered by ice. We came here early in the morning and could not believe our eyes. 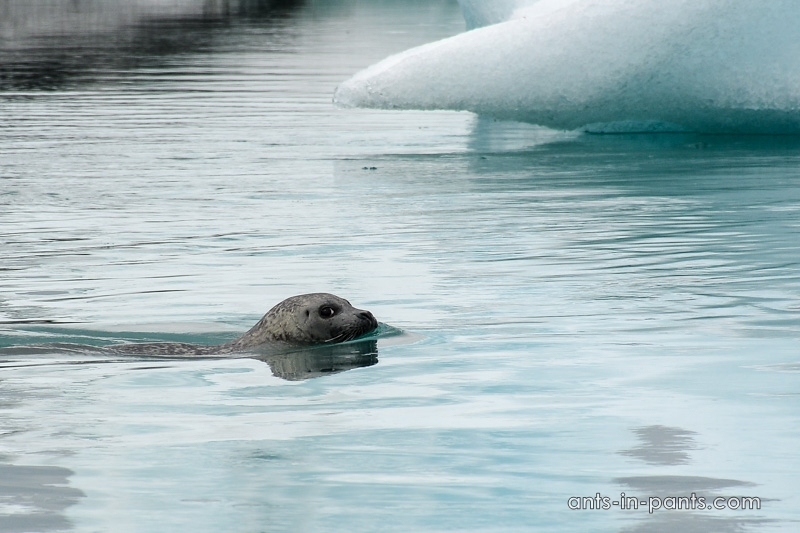 Even more wonderful was to unexpectedly spot seals in the glacier lagoon. 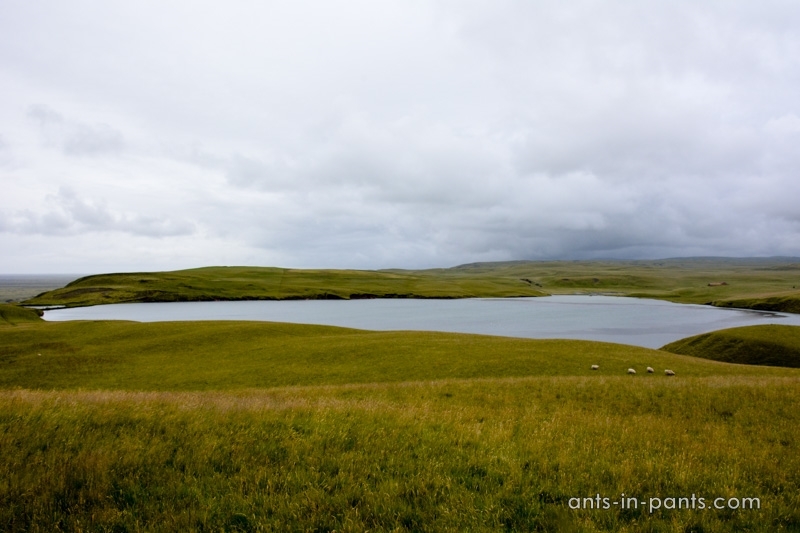 The seals chase shoal of herring and capelin into the lagoon and have a hearty meal here. It is said that if it is sunny, you will also be lucky to see them crawling into icebergs for siesta. 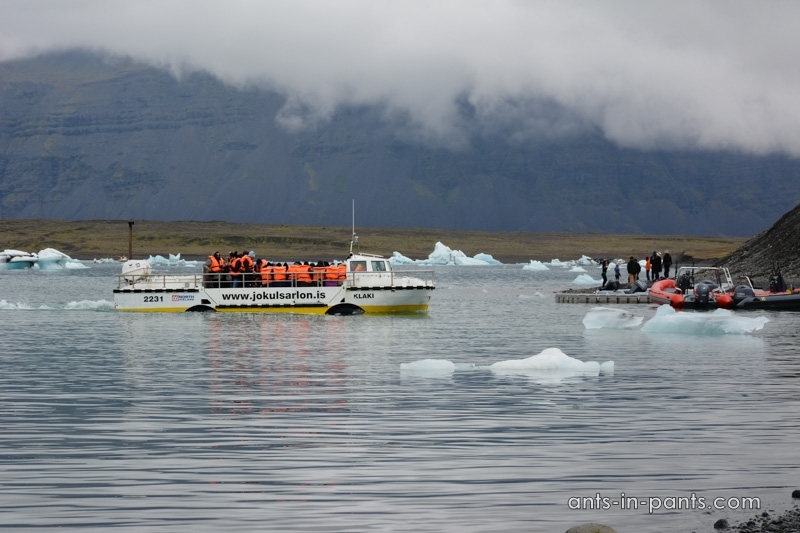 You may also want to explore the lagoon by an amphibian, which is said to come closer to the seals, but they are also a bundle of joy from the shore. 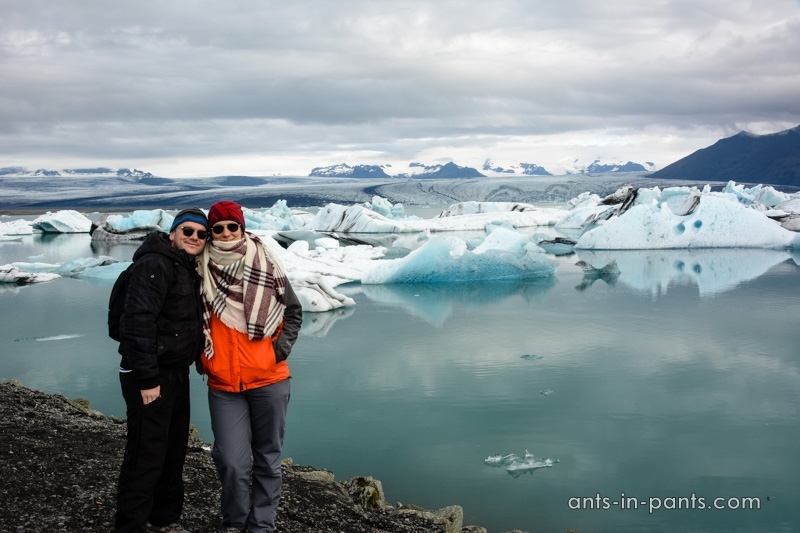 If you want to see all this in one day, we recommend to stick to Fjaðrárgljúfur, Skaftáreldahraun, Skaftafell National Park, Jökulsárlón (glacier lagoon). 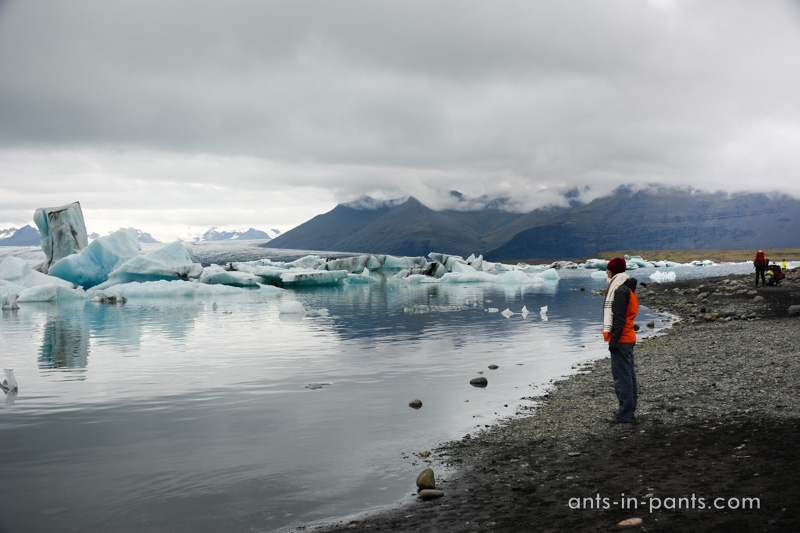 Do not forget the recommendation to wake up earlier: any of these places are especially good without crowds of people (for us such was Jökulsárlón). 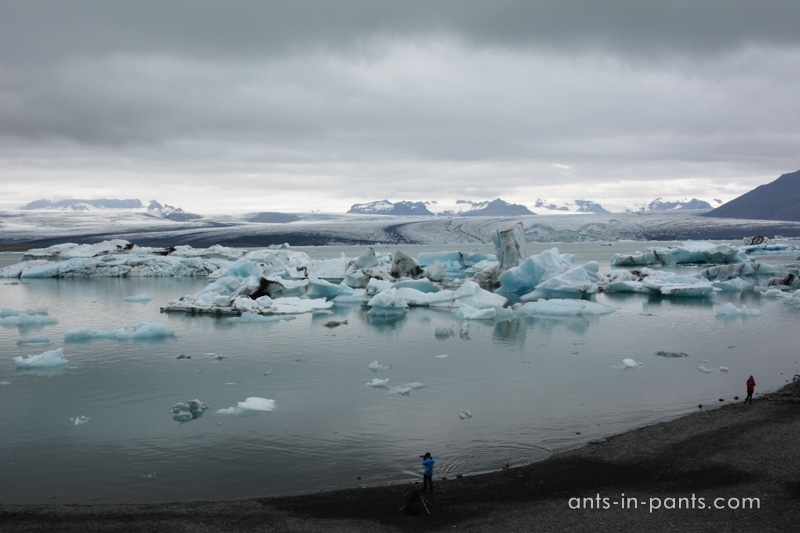 We also recommend to stay at Guesthouse Gerði near the glacier lagoon: in such a way you may see or return to the lagoon in the morning when it is especially beautiful. Although this is not a camping officially, they allow to camp there and take real shower in the hotel rather than uncomfortable camping facilities. They also offer tea, coffee, and a nice room to hang out at.